Tui Macuata, Ratu Wiliame Katonivere. 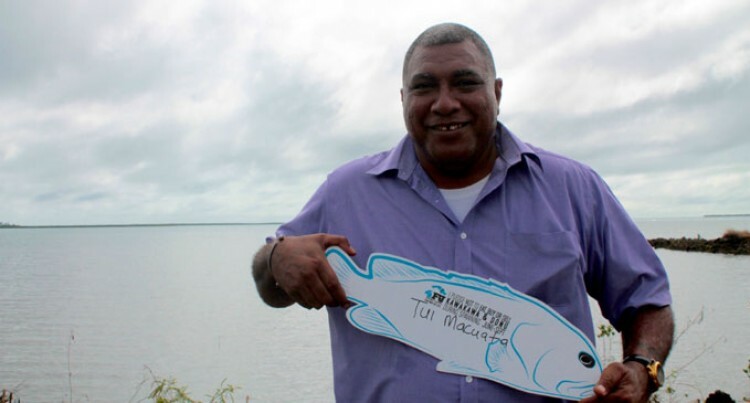 Tui Macuata, Ratu Wiliame Katonivere, has joined Fijians in the pledge to refrain from fishing and eating kawakawa and donu fish during their spawning period. The fish – part of the grouper species – spawn from June through this month. Ratu Wiliame also committed to encouraging other chiefs in his province to join the 4FJ Campaign in supporting restrictions on fishing kawakawa and donu to allow them to restock Fiji’s reefs. The fish species have been rapidly declining over the past several decades, with catches decreasing 70 per cent in 30 years. This is particularly alarming for the Northern Division, which at present provides 70 per cent of the fish for commercial sale in nation. Ratu Wiliame said he supported the campaign to help increase fish stocks, so communities could better meet their food and income needs. “This campaign is about delivering real benefits to the people. Rural communities are the heart of this nation and we need to ensure they have sustainable resources to thrive today and tomorrow,” Ratu Wiliame said. The campaign has secured more than 8000 pledges across Fiji. The addition of the paramount chief of Macuata is a milestone for the campaign, said Scott Radway, executive director of SeaWeb Asia Pacific, which created the 4FJ Campaign in support for the Fiji Fisheries Department. Ratu Wiliame has recently worked with the Fisheries Department to develop a fishing permit/licence for his iqoliqoli to place restrictions on spear fishing and with the use Scuba diving gear among other harmful fishing practices. Ratu Wiliame said he would engage the chiefs in his province on join him in the campaign.